We pity the poor souls who paid their hard earned money on a dud as bad as 6-Hand Video Poker, where soulless presentation and meaningless gameplay combined to make it a nearly worthless product in our eyes. 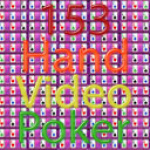 Skunk Software evidently thought that adding dozens of additional hands to the game would somehow improve it greatly, and thus 153 Hand Video Poker was born. 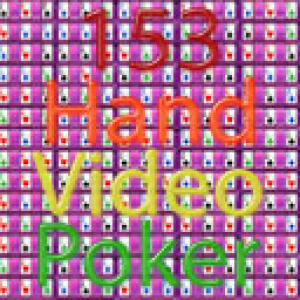 Unfortunately, 153 Hand Video Poker manages to somehow fail to clear the bar that was already set incredibly low by its predecessor; it fixes none of the problems and manages to add some new ones. 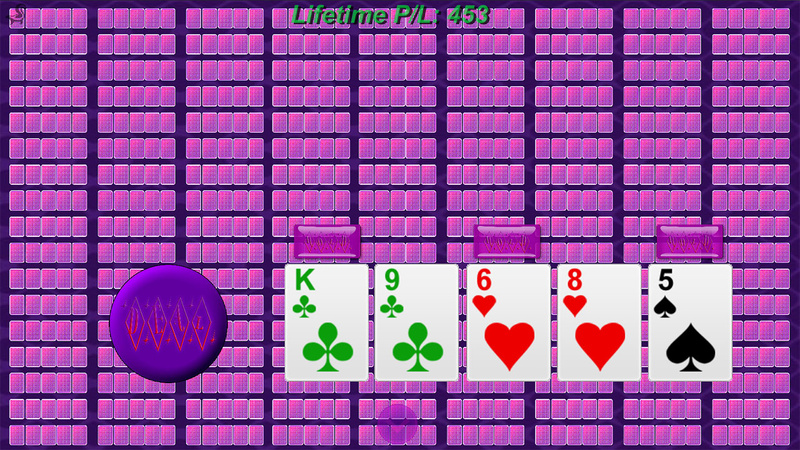 As you may have guessed from the title, this is just 6-Hand Video Poker with more hands. Gameplay is as simple and as mindless as it can get in a card game, and manages to almost completely eliminate player interaction from the experience. You're randomly given a hand of five cards from which you select the cards you'd like to hold. The cards that you didn't hold are then ranked against the other 153 opponents and you either gain or lose money based on the outcome. Much like before, there's absolutely no consequence to player actions, giving little to no reason to keep coming back. Given the sheer volume of hands you're up against, you usually lose money on each round, but it's not like it matters anyway. If your credit count happens to drop below zero there's no game over screen of any sort, things just continue on as if nothing happened. With no reward or punishment for victory or defeat, the only real thing that changes from round to round is what number is displayed on your credit count, effectively making this a game of pushing one button and watching a lengthy loading screen. Here is where 153 Hand Video Poker somehow manages to do something worse than its predecessor. Upon picking your cards and beginning the tallying process, you're treated to a roughly 45 second screen where you watch as each and every single hand is analyzed and compared to your own. As this is happening, a piano note is played each time you win a hand, in an effort to make winning "music to your ears". It might sound good as a concept, but it ultimately amounts to a 45 second loading screen where random piano notes will intermittently sound off. It's about as interesting as watching paint dry while disparate snippets of music play in the background. Presentation hasn't been improved either. 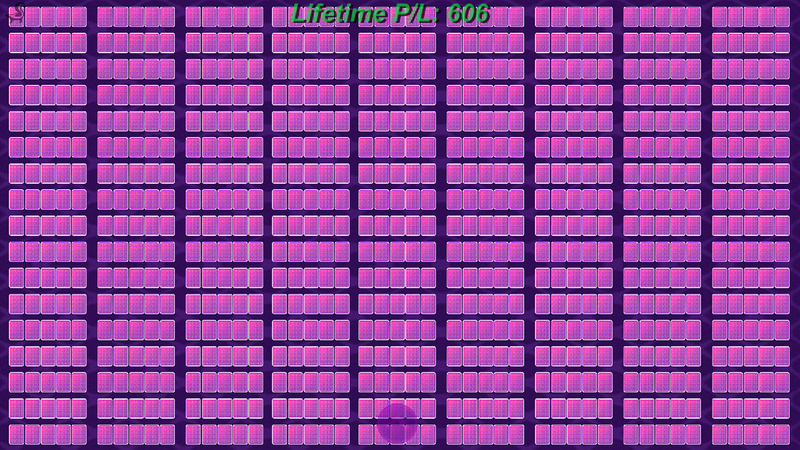 The static game screen is quite literally just rows and rows of cards in groups of five, which are extremely small and difficult to read when they all have to share the same screen space. A short recording of casino sounds and conversation (which has coincidentally been pulled from the first game) loops all too often; you'll likely find yourself muting it after just a few passes. To round it all off, the game text is difficult to read over the density of the cards and manages to look just as cheap and half-baked as the rest of the game. Seems like a great, quality item, well worth my money! If they put pictures of Pokemon on the cards they could charge $9.99 for it and it would sell even with a review score of 1. I'm still waiting for the eShop's next quality release, Meme Run 2!! Another card game, another piece of crap on the Wii U eShop. Games like this shouldn't be allowed on there. When games like this are reviewed it really begs the question who is wasting their time making this? Even as simple and low budget as a "game" like this is, there's no way it's turning a profit. 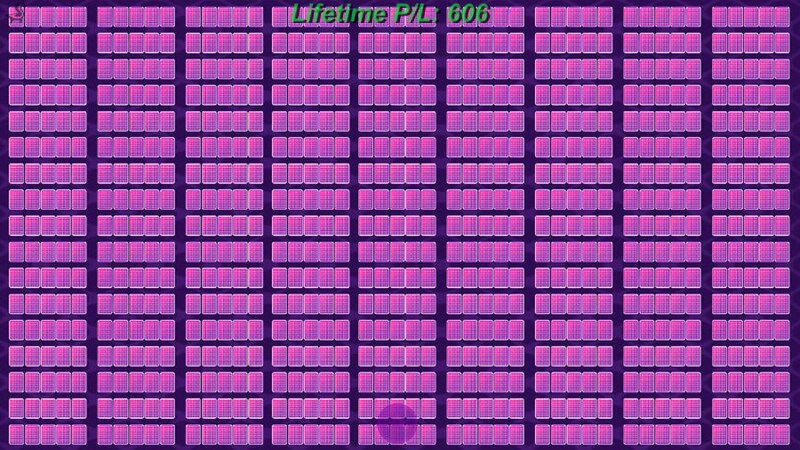 Are there people out there who's life goal is to make the worst games possible? Do they find this a better use of their time than burning money or flushing it down the toilet? So many questions. I really do not understand why Nintendo allows its eShop to be degraded with games like this . . . .
@Yorumi I was wondering the exact same thing the other day when reading the review of another turd that got a 2,the name escapes me.I was wondering how much it must cost these devs,if you can even call them that,to get their game rated,approved and onto the Eshop?A few hundred,few thousand? I'd be very surprised if sales even reach triple figures.Are they deluded enough to think enough people will buy this that they'll turn a profit,or are they fulfilling a life dream to release a game on a Nintendo console and if so are they not ashamed that this is the best they can do?I agree,so many questions. So to put it simply, the game stinks. Id rather they put money into making things like this. What!? Games from "Skunk" software stink you say? @rjejr It wouldn't get a one if it was Pokemon though. Just a suggestion, NintendoLife, why waste your time (and your readers), even bothering to review garbage like this? There are a lot more worthy titles out there in the back log of reviews you could be reviewing. I'm honestly wondering if Skunk Software is actually just a group of guys purposefully making terrible games as a form of satire. I mean, I still can't get over the fact they named the company Skunk Software! With that name they are basically saying "Our games stink!" Plus, I could literally make this in SmileBASIC or something if I wanted to. 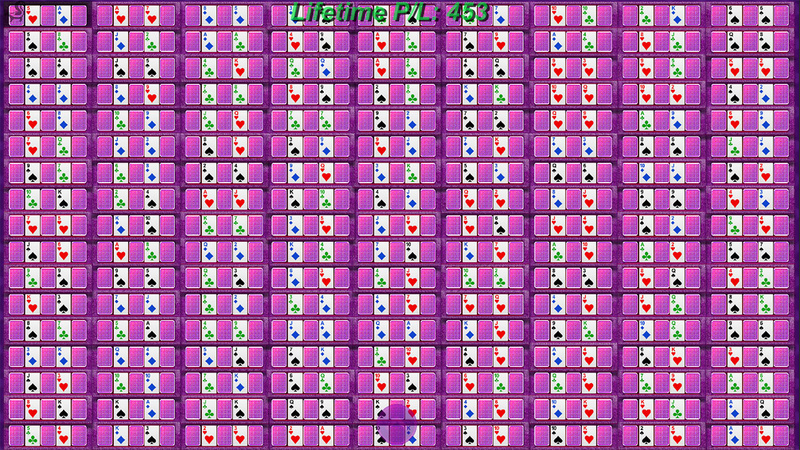 I could do it with 1000 hands... Heck, I could do it so the player could choose how many hands they wanted to compete against. Adding goals and high scores would be a cinch. There's just no excuse for software like this costing money if a spare time, amateur programmer like myself could recreate it. @Hey-Cha-La "We review every electronic release" has always been NL's selling point. Yeah the stinkers make it seem like a waste of time, but some GOOD eShop titles would fall through the cracks if not for that policy because it's not like the Internet regularly reviews anything but the biggest eShop titles. The other thing is probably they're doing a service to all those five or six people who were like "man, I could go for like 153 simultaneous hands of video poker right about now." Where are the reviews for games that are not obvious pipes of garbage? Seems like this whole week and a half has been bad ganes (except for 3rd Dragon or whatever it's called). Is that the case? Every electronic release ever will be reviewed by NL? Thank you, I wasn't aware of that. That sounds... ugh! Well then I hope they will review Unholy Heights someday soon. THIS is what happens when the floodgates are opened so that any idiot can release games on the eShop. Not too long ago, licensing fees and other barriers at least ensured that developers and publishers invested in their projects, and were forced to take them seriously as money was involved before they had even made a cent from their labours. It wasn't a perfect system, and I extend my sympathies to those who have struggled, but the result was that the standard was much higher. Leave the App Store calibre junk to Apple. I don't want to see Nintendo systems polluted with garbage that is below the calibre of some of the worst releases from yesteryear. So I guess you just won't give out a 0/10, hunh? @Deanster101 they review all the digital games. There's no need to "fill up the empty space" when this is literally what they started the site for.